Entertain your kids and let them learn colors with the kid vloggers as they unbox their new toy in this educational video for kids. 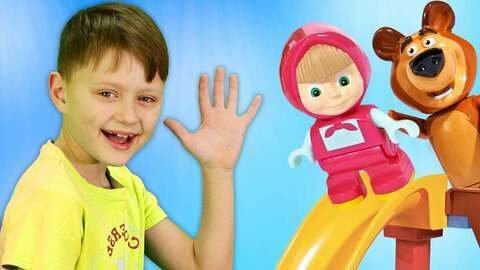 See the enthusiastic Igor and Arina build and play the colorful slide for their toys. Helpful Igor builds most of the slide for her very excited sister Arina. Name the different colors found in the slide and listen to the popular nursery rhymes like “I’m A Little Bunny”. Make sure your kids don’t stop learning by visiting SeeZisKids.com and watching other educational videos.